Mary Redekop from Antonio Amodeo on Vimeo. Mary is a well known art historian who leads walking tours in various countries and teaches armchair travel courses to introduce individuals of all ages to her favourite treasures that delight the eye. With over 52 years in the art, art history, education and tour industries, Mary delightfully shares her wealth of knowledge and experience through her Series of Lectures in Toronto and London, and through the new Walkabout iPad Tours which are yet to be released. Mary taught art and art history to high school students for 4 years in North York, Ontario, and for 31 years for the Thames Valley District Board of Education, in London Ontario. She has developed and presented hundreds of lectures for Western University, The University of Toronto, Museum London, the McIntosh Art Gallery and Toronto Public Libraries. 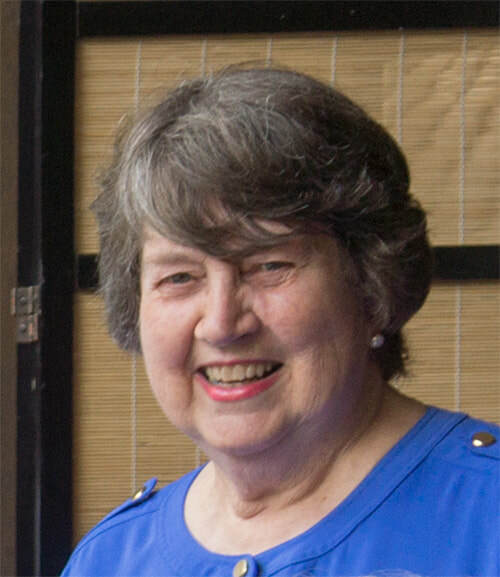 For the past 34 years Mary has been facilitating tours to Italy, France, Spain, Austria, the Czeck Republic, Russia, Uzbekistan and Turkey for Ellison Tours, a national tour company. Mary grew up in Creemore, Ontario. She is the mother of three: a programmer, an engineer and a professional viola player. Rome Walkabout Apps are now around the world! We have over 600 downloads of the apps in 40 countries around the world! Canada is in the lead for sales of the Rome Walkabout Apps, followed by USA, China, Holland and France. The apps are of interest to many tourists to Rome, as they walk you through eras of artwork allowing you to compare the differences in styles and materials used as the Roman Empire progressed. The apps are currently available for iPad but are being converted to the Android (Google) system and will be released soon. After almost a year of planning, research, lectures, travel, design, redesign and fun, two apps are available for purchase at the Apple App Store. The apps are enlightening art and architectural walking tours through Roman, Early Christian, Renaissance, Mannerist & Baroque sites in the heart of Rome. These completely offline apps are filled with audio, video and photographic content, as well as interactive step-by-step maps and directions to take you from one site to the next. No Internet of GPS connections are required to use the apps once they are downloaded to your iPad. There are no advertisements and no in-app purchases. Mary walks the users through fun and interesting information about the sites just as she would as if you were walking in Rome with mary beside you. 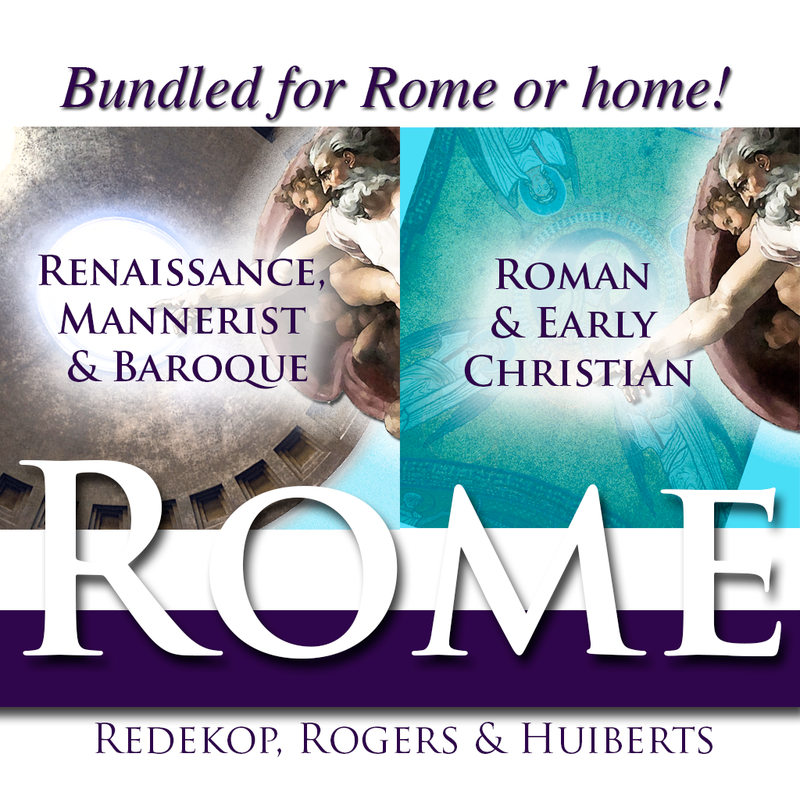 While you are relaxing at home or visiting onsite in the heat of ancient Rome, learn about beautiful mosaics, the history of buildings, art techniques, materials used, and a bit about the people involved. View the ceiling covered with Christopher Columbus's gold. Find out what it means to have a square halo. Look for the pope who was tied to an anchor and thrown overboard into the Black Sea. Find the Phoenix. Stand inside the only chapel in Rome that is completely covered with mosaics; all while having your own, personal, art history guide in your hand. It is an amazing, fun and informative tour, which presents a rich and colourful early Rome. This app is like no other on the market as it takes you inside the majority of locations and focuses on the art, architecture and history of: the Campidoglio, the Forum, Trajan’s Forum, the Basilica of Cosma and Damiano, the Arch of Constantine, the historic Colosseum, the layered Basilica of San Clemente, and the Basilicas of Santa Maria Maggiore, Santa Prassede and Santa Pudenziana. Although the app provides terrific information about the Colosseum and the Forum, because of the time involved to visit these two sites, we do not physically take you inside either during this tour; instead, we view them from outside. However, detailed information is included in the app about the interiors. An incredible one-day walking tour awaits you with a focus on Renaissance, Mannerist and Baroque art and architecture. But don’t let those words scare you because, if you are walking through Rome, you are already looking at these things you just might not know it! The app is fun, useful and informative, providing interactive maps, directions, video, audio, beautiful photographs and details about Piazza del Popolo, Pincio Hill, Spanish Steps, Trevi Fountain, Piazza Colonna, the Pantheon, Sant ‘Ignazio di Loyola, San Luigi dei Francesi, Piazza Navona and Santa Maria sopra Minerva. You may not have heard about some of these sites before, but you will never forget them after you experience this app!